The Democratic National Committee has not had the best of luck with its committee chairs lately. Debbie Wasserman Schultz was forced out after WikiLeaks emails showed her mocking the Bernie Sanders campaign earlier this year. Now, interim DNC chair Donna Brazile is facing criticism after leaked emails revealed that she had been providing debate questions to the Hillary Clinton campaign in the Democratic primary. Brazile was reportedly chewed out at a DNC meeting on Thursday, with members asking how they could trust her. Witnessing the rampant bias among the DNC leadership, former Vermont Gov. 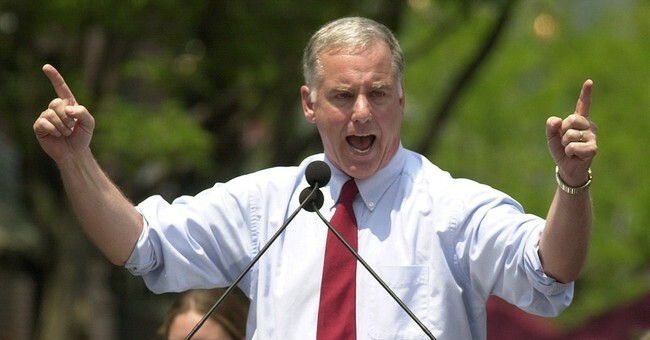 Howard Dean announced on Thursday that he is running to be chairman, a title he held from 2005 to 2009. Some are already cheering his decision, noting he has the experience needed to lead the committee and support state parties. I was on the @MaineDems Exec Committee when @GovHowardDean was ensuring DNC invested in state parties. NOBODY better for Chairman.